And the following image shows what Bardon (the suburb was named after the house) looked like at that time - the picture shows the junction of Simpson Rd, Gordon Rd and Outlook Crescent, just a few hundered metres from Bardon House, situated on The Drive. Bardon House was built in 1863 by well-known Brisbane builder and early mayor of Brisbane, Joshua Jeays, whom we met in the last post. 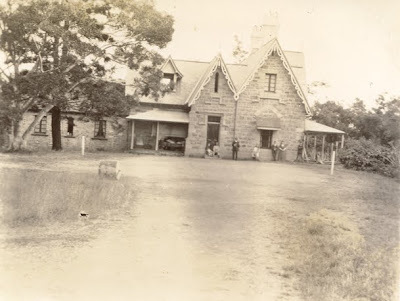 Jeays had developed a quarry at Woogaroo (now called Goodna), and this house was built from stone sourced there. Bardon House is a two-storey Victorian Gothic structure with a steeply pitched roof, gables and dormer windows. 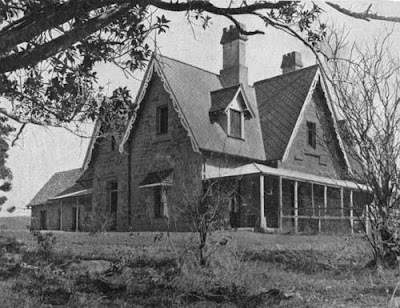 It is shown from a different angle in this photograph below, taken in 1930. You can see similarities with the building shown in the previous post, Romavilla at North Quay, which has unfortunately now been demolished. It appears that Jeays never lived in this house, although that was his intention when building it. His wife Sarah, who apparently was never in the best of health, died before it was finished, and a heartbroken Joshua Jeays lived out the rest of his life at North Quay. However, his children used the residence. Daughter Sarah and her husband Sir Charles Lilley (future Queensland premier) were residents for a time. "Wanted for Mothers' Union District Nurses' Home, trained maternity nurse. Apply Mrs Exley, 'Bardon' Upper Paddington." "Exley, Elizabeth Francis, Bardon Estate, Upper Paddington, domestic duties, 7 Sep., 1914, F"
Brisbane's Roman Catholic Archbishop Duhig bought Bardon House from the Exleys in 1925. The following picture dates from 1959. Bardon House was used as a temporary church until an actual church was built in Bardon. It also served as the residence for the local priest and then as a school. Franciscan Sisters moved into the building in 1937 to run the school, St Joseph's. Bardon House is still part of St Joseph's School, which is now quite large. Here is a current picture of the entrance to Bardon House - unfortunately the school has parked a couple of huge white demountable classrooms right in front of the building, so a wider shot than this was impossible. What has continually been reinforced to me as I write this blog is how young Brisbane is. It's not so long ago that Brisbane was a squalid prison outpost known as Moreton Bay Penal Settlement, set up to hide from Sydney society the very worst of the convicts transported from England to New South Wales. There was little thought given to planning the town or providing even basic amenities for its residents. When the convict era ended and free settlement was proclaimed around 1842, there began a slow process of trying to make Brisbane a more habitable and attractive place. Inevitably, this task fell to a few who had the foresight and energy to bring about the necessary changes. 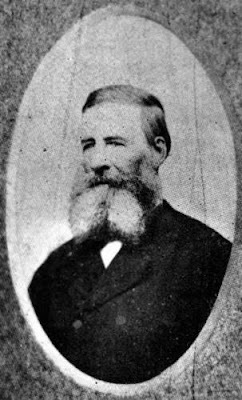 One such man was forty year-old Joshua Jeays (below), Leicestershire-born, husband to Sarah and father of four children, who arrived at Moreton Bay in 1853. 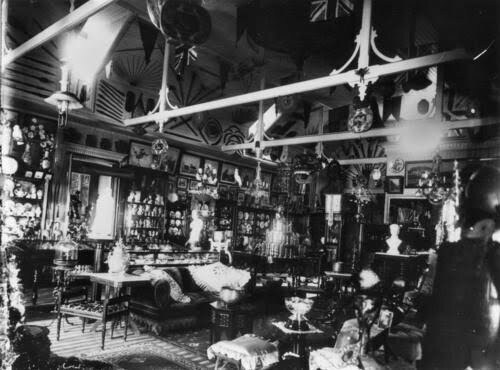 Jeays was a carpenter and builder, and although he had his own building business in London, he left that crowded and polluted city for Australia in order to provide a healthier way of life for his family. It appears that Joshua Jeays hit the ground running. He became a member of the Brisbane School of Arts, a valuable networking tool, and commenced looking for work. His foresight became immediately evident in his searches for quarry sites to provide stone for the building boom that was about to take place in the settlement. 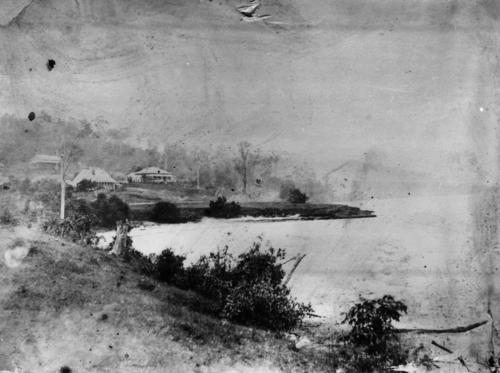 Jeays ended up establishing a quarry on the riverbank at Woogaroo (now Goodna), producing excellent stone that was able to be sent downriver by barge to Brisbane. From here on, there was no stopping Joshua Jeays. Now in business alone, he built the new colony of Queensland's first major project, the original Government House in George St; he supplied the stone for the construction of Parliament House; he built churches and houses, including Bardon House and this one at North Quay called Romavilla that was to become a boarding house. Romavilla was demolished in 1974, but here is a photograph of it from 1875. As well as his hectic business life, Jeays also found time to serve his adopted community. An accomplished mathematician with a love of astronomy, he frequently gave talks at the School of Arts, and he was elected to serve on Brisbane's first municipal council. He became the fourth mayor of Brisbane in 1864. His political sphere was enlarged when his daughter Sarah Jane married Charles Lilley who was later to become Queensland's premier. During his time as mayor and councillor, Jeays was instrumental in providing the city with lighting, water and ferry services. 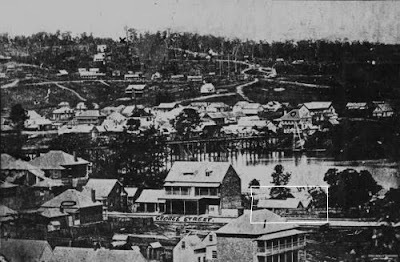 He also served on the bridge committee that had oversight of the construction of the first bridge over the Brisbane River. As well as his thriving business, Jeays was also somewhat of a property speculator. 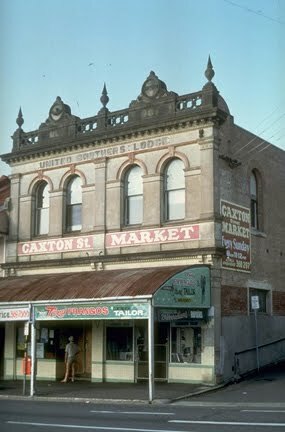 He purchased large tracts of land at Bowen Hills, Upper Paddington (later to be known as Bardon, named after the house he built there) and Sandgate. To this day, descendents of Joshua and Sarah Jeays work in the family businesses at Sandgate and live nearby. Joshua Jeays died at the age of 69 on 11 March, 1881 and was buried at Toowong Cemetery. His legacy lives on in his buildings that remain - Old Government House and Bardon House - and Jeays St at Bowen Hills, which contains Jeays Park, named in his memory. There is also a Jeays St at Sandgate and one at Brighton. Torbreck at Highgate Hill, completed in 1960, was Brisbane's first multi-storey building comprised solely of home units. But in 1927, the structure below was being built to provide a combination of commercial suites and residences. It is Craigston on Wickham Terrace, right across the road from the windmill. 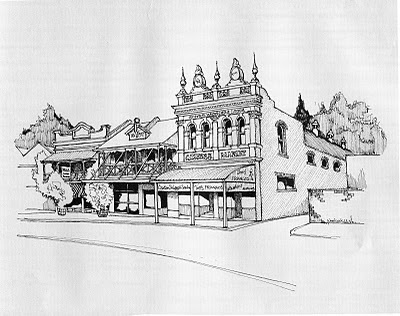 Brisbane architects Atkinson & Conrad designed the building in Spanish Mission style for Sydney medico Dr SF McDonald, and the builder was Walter Taylor who was later to erect the toll bridge at Indooroopilly. Ballow Chambers, further down Wickham Terrace towards the Valley, was also built around this time. Developments such as these were allowed specialist doctors to gather on Wickham Terrace en masse. My photo above shows Craigston today. It still operates as Dr McDonald envisaged, with both medical offices and residences contained within. 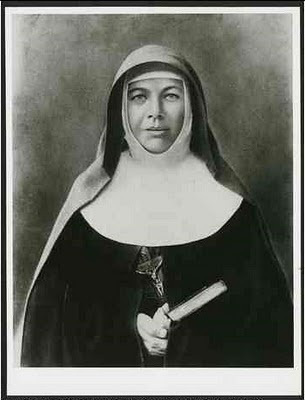 Yesterday, Blessed Mary MacKillop was canonised, the final step in her being recognised as a saint - Australia's first. Despite my indifference to organised religion, I have always had the greatest respect for holy people. The Dalai Lama, for example. And Baha'u'llah, and Mother Teresa. People who pay more than lip-service to their faith; people who actually live it without ambiguity or hypocrisy. It seems that MacKillop was one of these people. Mary MacKillop spent some time here in Brisbane. She arrived here in 1869 with five other sisters of the order that she had founded, the Sisters of St Joseph. They lived at South Brisbane and worshipped at St Stephen's (which now has a sign proclaiming that fact), and they started setting up schools in poorer communities. Unfortunately, she ran afoul of the autocratic Bishop Quinn about who was in charge of the sisterhood, and she was banished from her post in Queensland. Quinn wasn't the only temperamental bishop she was to face - later, Bishop Sheil in Victoria actually excommunicated her, that action requiring intervention from Rome to have her restored to the church. For greater detail on McKillop's story, take a look at one of my favourite blogs ART and ARCHITECTURE, mainly. Mother Mary MacKillop founded the Sisters of St Joseph with Father Julian Tenison Woods, and here we have a further connection with Brisbane. 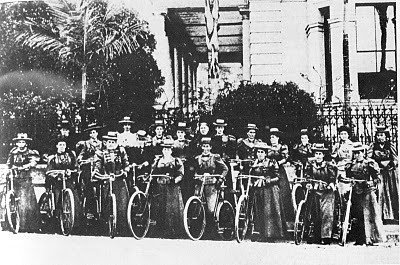 Father Woods founded another order, the Sisters of Perpetual Adoration, in Brisbane in 1874. This religious order cares for the aged and the infirm, but they also maintain "perpetual adoration"; that is 24/7 prayer (at least one of the order is at prayer at all times.) Because the small group of sisters was becoming even smaller as the nuns were ageing, perpetual adoration in the order's chapel ceased for a time, but now it has been restored with the assistance of other religious and laity. The order's chapel and headquarters are called Villa Maria, located at 167 St Paul's Terrace. 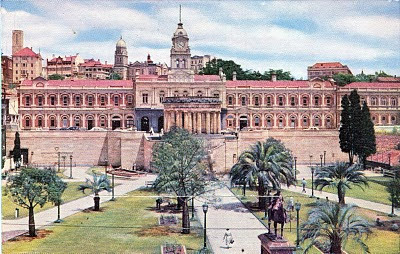 It is a huge complex that was constructed in stages from 1924 through to the late sixties, the majority of it during the period that James Duhig was Archbishop of Brisbane. This photograph is from the St Paul's Terrace side and was taken in 1990. Here's a current picture taken from the Warren St side, and below that is the chapel. Recently my mother was on holidays on the Gold Coast, and as she is an age pensioner she was staying in some fairly basic, although quite comfortable, accommodation. Unfortunately, only a few days into her vacation, she woke up one morning with a sharp pain in one eye. After mucking around rather unsatisfactorily with unfamiliar medicos on the coast, she finally came back up to Brisbane and saw her own eye specialist. Diagnosis - shingles! Shingles is a viral disease similar to chickenpox that results in painful inflammation of nerve-endings. I have had shingles too - but only on the abdomen. It was a real nightmare, because I couldn't bear to have even a sheet touching my body. I cannot imagine how painful it would be to experience it on the face and in the eye. 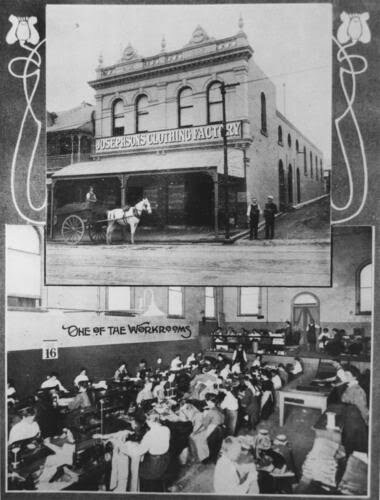 The purpose of relating that story was to get to today's post, which is about the Greenslopes Hospital. That's where my mum spent a week or so under treatment for the shingles, including much-needed pain relief. I have to say that the hospital is superb. The rooms are bright and airy, the entry foyer is more like a five star hotel foyer than a hospital waiting-room, there's plenty of parking and the bus pulls up right outside. We joked with Mum that she had a more luxurious stay in the hospital than she would have had back on the Gold Coast! Here's a photo of the present entrance to the hospital. And this is a photo of the old entrance to the hospital - it dates from 1952. As a kid, I lived not too far from the hospital. 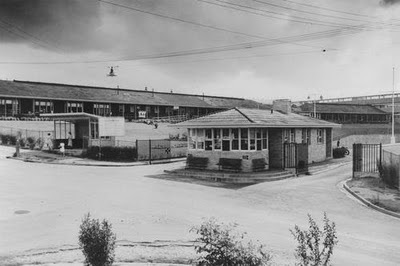 I was always aware back in those days that it was a facility for returned soldiers - it was known colloquially as "The Repat", short for Repatriation Hospital. In the late 1980s, the federal government made a decision to quit the veterans' hospitals that it owned and ran. The state government declined to take over Greenslopes, and so privatisation became the only other viable alternative. The RSL protested this decision, but in 1994 the hospital was put to tender, and Ramsay Health Care took over the running of the hospital in 1995. Since then the facilities and medical services have been expanded, and today, if my mother's recent stay there is any indication, the hospital is at the forefront of medical care. Here's another of those delightful bathing pavilions from the Gold Coast. Like the one we saw previously, this one was also designed by Hall & Phillips. It is situated at Main Beach, just south of Southport, and this photo comes from 1935. Once people could get from Brisbane to Southport by train and then by motor car, public bathing became more acceptable and more popular. In fact, Southport was competing with Cleveland, Sandgate and Redcliffe for the tourists who wanted to bathe in healthy salt water. Southport embarked on an ambitious beautification program to attract day-trippers and holiday-makers. Instead of the privately-owned bathing sheds that it had previously allowed to dot its beaches, the Southport Council decided to build pavilions to enable people to change in comfort and privacy. 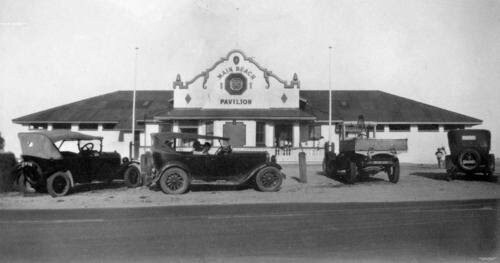 Hall & Phillips designed the pavilion at Southport and this larger one at Main Beach in Spanish Mission style. The pavilions were opened conjointly on 22 December 1934, with an opening ceremony held at the Main Beach pavilion. The Southport lifesaving club was established back in 1923, and in 1937 it opened a new club house next to this pavilion. The two have operated in tandem ever since. For those interested in bathing pavilions, a blog favourite of mine, ART and Architecture, mainly, has examined the Sydney Beach Pavilion here. 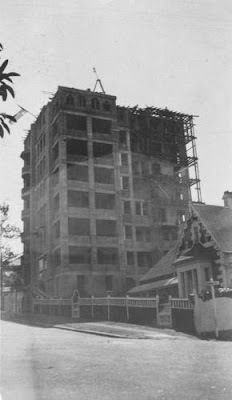 Architect Lange Powell (BAFS Building, Masonic Temple) was born in Rockhampton in 1886, a descendant of early free settlers to the state. He died in 1938 at the building below, St Martin's War Memorial Hospital in Ann St Brisbane, situated next door to St John's Cathedral and part of the cathedral precinct. 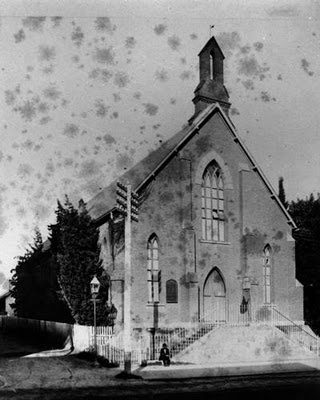 Powell himself had designed this building for the Anglican Church. 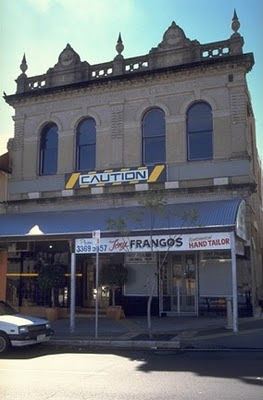 The following photograph shows the rear, or Adelaide St side of the building. St Martin's Hospital was built as a memorial to those killed in WWI, and it opened in November 1922 and was run by the Anglican Sisters of the Sacred Advent. It was so named because the day that celebrates the armistice that ended WWI (11 November) is also St Martin's Day; St Martin of Tours being a soldier who became a saint. 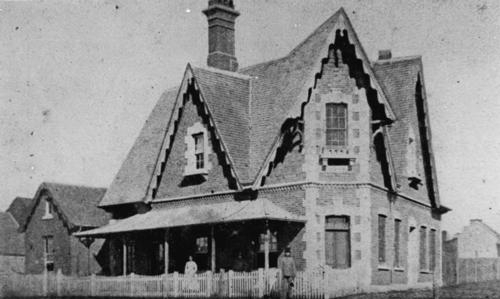 The hospital was not funded by the state - the necessary funds were raised by public subscriptions from both the Anglican and the wider communities. This private hospital served Brisbane faithfully for fifty years, and during its time it provided the highest standard of care to patients, extended free of charge to returned servicemen and women. 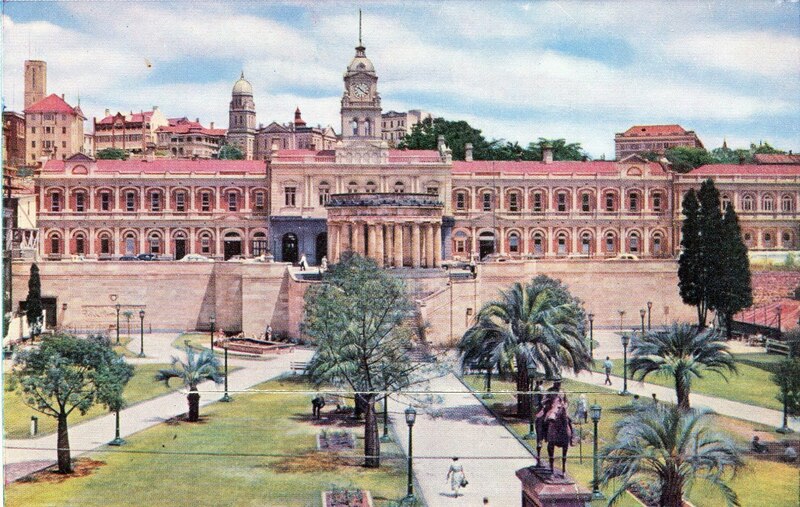 However, in 1967, the state and local governments started to talk about enhancing the cathedral precinct, apparently agreeing that several buildings including St Martin's would need to be demolished to improve the view of St John's Cathedral. The Anglican Synod approved the demolition of the hospital shortly afterwards. Doctors, nurses, the Sisters of the Sacred Advent and the public all realised that the hospital, built by public subscription and providing valuable care for acute patients, would be lost to Brisbane. The Save St Martin's Hospital movement started, and endeavoured to have the decision to demolish the hospital overturned. 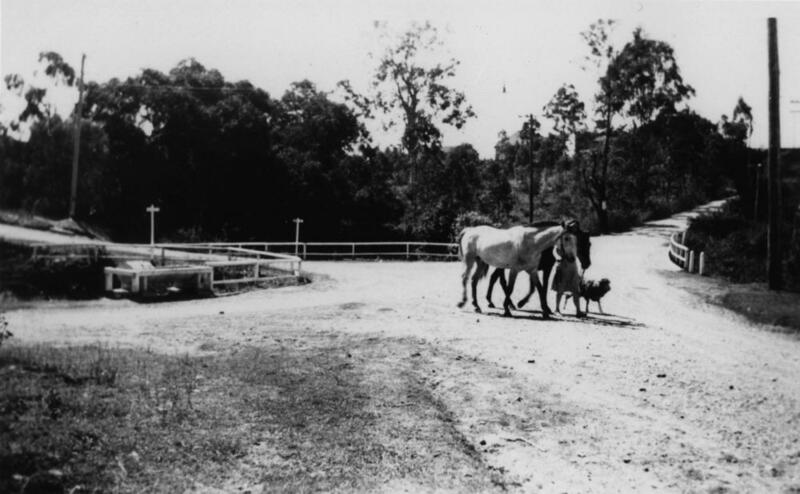 The resultant clamour, including legal action, is too detailed to cover here, but it culminated in the closure of the hospital in 1971, with patients transferred to another hospital at Zillmere. But the Anglican church's plans to demolish the building were stayed by the persistent public protest - the building remains today as administration offices for the church. My photograph below shows a current view of the Ann St frontage of St Martin's. "In humble thankfulness to Almighty God for the blessing of victory in the cause of justice and freedom 1914-1918. 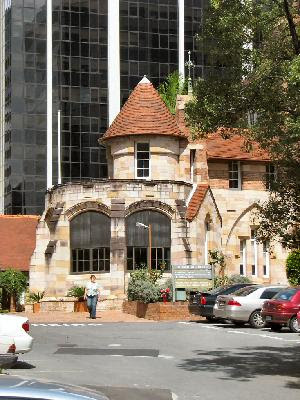 This hospital was dedicated by the churchmen of the diocese of Brisbane." William Webber came to Australia from England in 1885 as the third Anglican Bishop of Brisbane, and was enthroned in November of that year at St John's Pro-Cathedral in William St. Webber was an adept administrator and a canny fund raiser. He raised around £100,000 for his church, with a third of that going towards a new cathedral to be built in Ann St. Webber died in 1903. 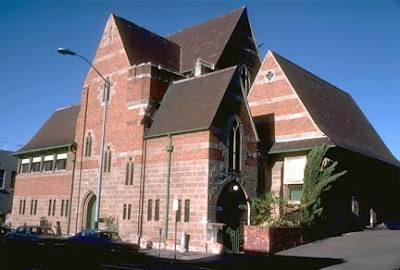 The following building, designed by Robin Dods and John Murdoch, was erected in the precinct of the new cathedral in 1904. 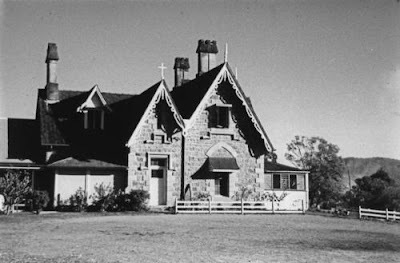 It was to be a school and church institute building, and after renovations in 1969, it was renamed Webber House in honour of the bishop. The photograph below is from 1983. Stone from the demolished pro-cathedral was used in the construction of the Gothic building. The Sisters of the Sacred Advent conducted a school there in the late 1930s, and during WWII the building was used by the Army engineering corps. It currently houses a church mission book store, and probably has other church uses as well. My current photograph (above) shows the building today. Hasn't the skyline at the rear of the building changed in the ensuing thirty years? 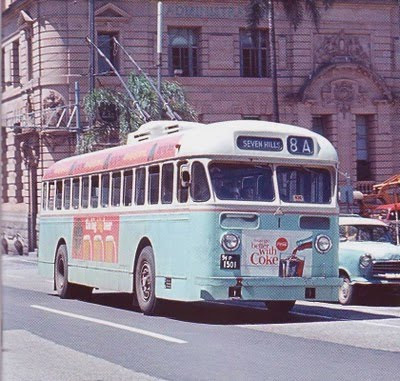 Trolley buses were introduced to Brisbane in 1951 to help cater for a rapidly expanding post-war population. They were comfortable, they were efficient and they were quiet. Instead of running on expensive diesel fuel and spewing foul-smelling gases into Brisbane's traffic, trolley buses used electric power supplied from Brisbane's powerhouses. I loved them, although their silence on the roads could sometimes be a problem for pedestrians who might not hear them coming. One nickname they attained was "whispering death" for this reason. 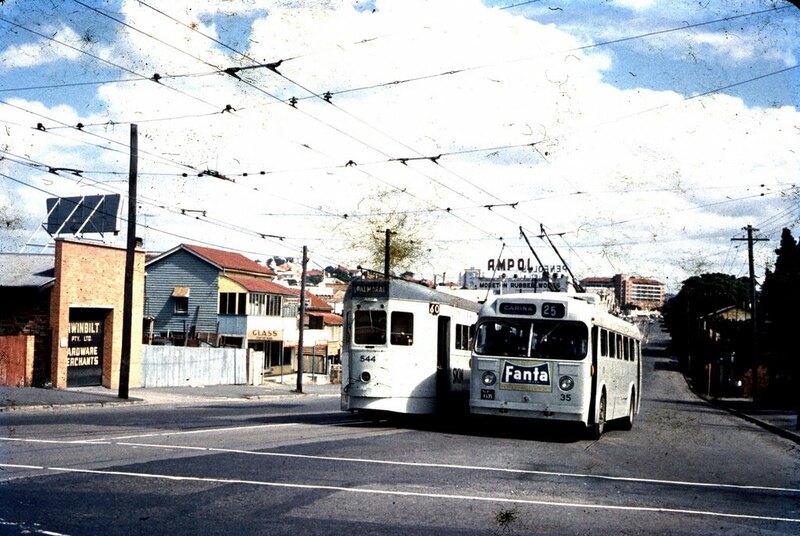 This is the trolley bus route I used to get to my aunt's place at Norman Park - the 8A to Seven Hills on the bus pictured below, passing Queens Park on the corner of George and Elizabeth Sts. From there it would turn right into William St and pick up passengers at the North Quay stop, which is where I normally caught it. I could also catch buses on the 8C route that ended up at Carina. 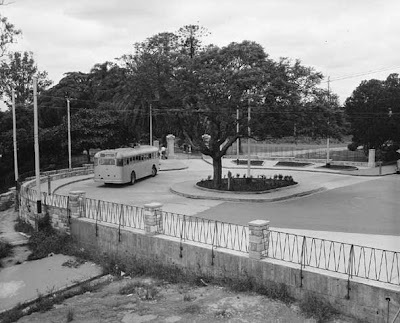 If you have ever wondered about that circular garden bed at the Edward St entrance to the Botanical Gardens, here is one of the reasons for it - it was a trolley bus terminus, allowing the buses to turn around for the return journey up Edward St. 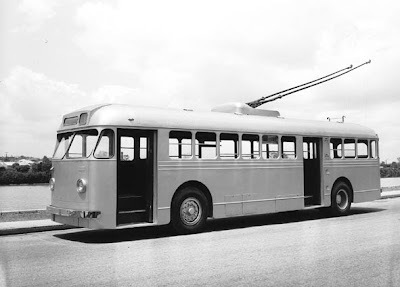 So why don't we have trolley buses now? I suspect that there are several reasons. The cost of infrastructure would be one; raising those wires across all the routes and then providing power would be fairly expensive. Diesel engines have improved a lot - they are now smaller and more efficient. 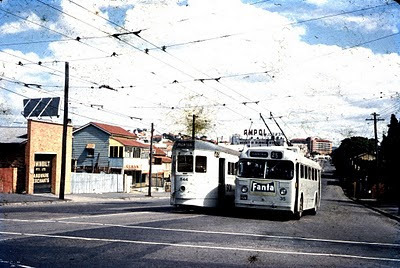 Of course, trolley buses can only travel where the overhead wires are, while diesel buses can go on almost any modern road. 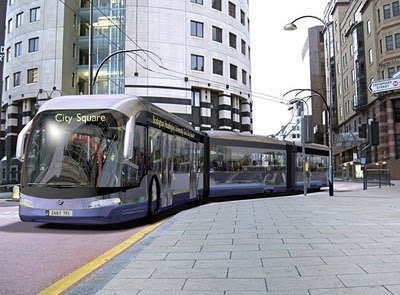 But for known high-density runs, trolley buses would still be a viable option. 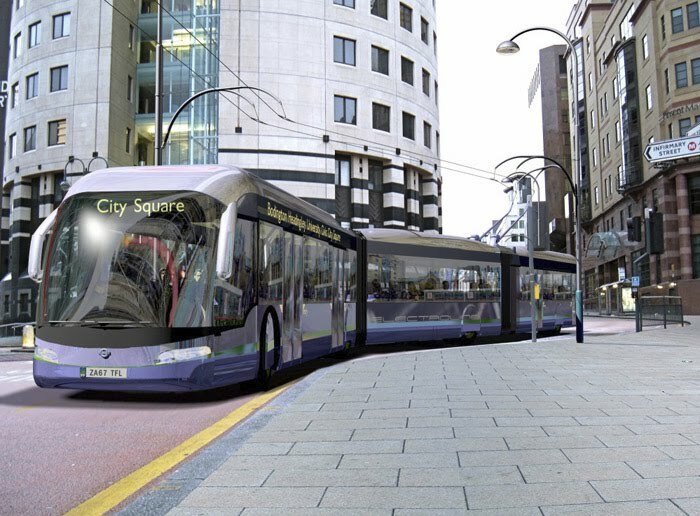 They continue to be used in some places - here is a picture of a modern trolley bus that will be introduced in Leeds, in the UK. 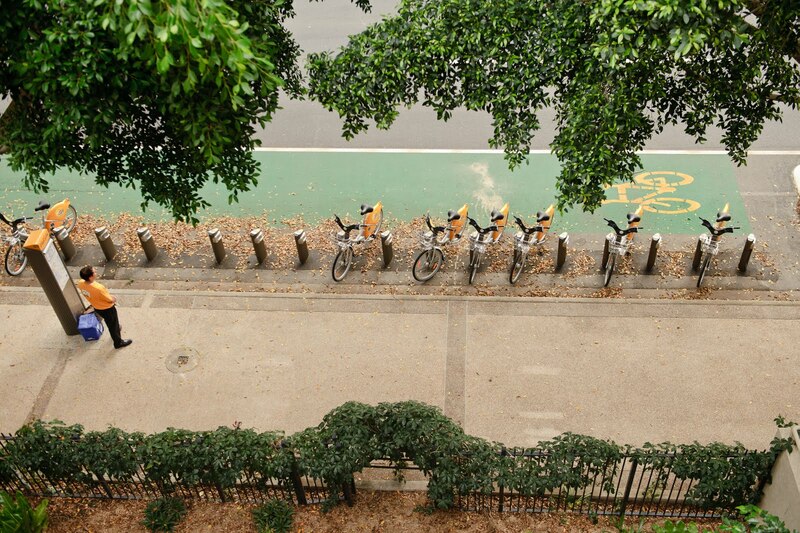 In Brisbane we are doing a lot of talking about mass transit, but not much action is occurring. Light rail (another name for trams!) was proposed, dropped and proposed again. Diesel bus routes were expanded instead. Now we are being sold an underground rail network with tunnels under the city and under the river, as well as additional city railway stations. Sounds nice - but it is very expensive. I hope that something transpires in my lifetime.